Specialised Technical Services (STS) is a privately owned software and services company based in Drouin, Victoria, Australia. STS specialises in CAD/CAM Software solutions for mechanical design and manufacturing engineering applications. STS is the authorised distributor for KEYCREATOR (previous CADKEY) software in Australia and New Zealand, a role it has held for more than 20 years. 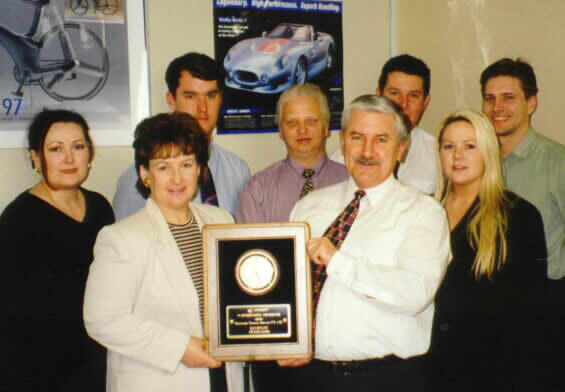 STS was awarded #1 International CADKEY Distributor in 1998. Managing Director Barry Dyson has more than 40 years experience in engineering business. Starting out as an apprenticed fitter and turner he went on to become a mechanical design draftsman and did a period of military service as a marine engineer. Barry has completed more than 15 years of post- apprenticeship studies including certificates in toolmaking and welding, an Associate Diploma in Mechanical Engineering, diploma in technical teaching and two Graduate Diploma's at Swinburne University, one in Maintenance Engineering and one in CAD/CAM. Please do not hesitate to Contact STS for any information on our Products or Professional Services you may require.